Perfect for decorating this years tree "recovery style!" 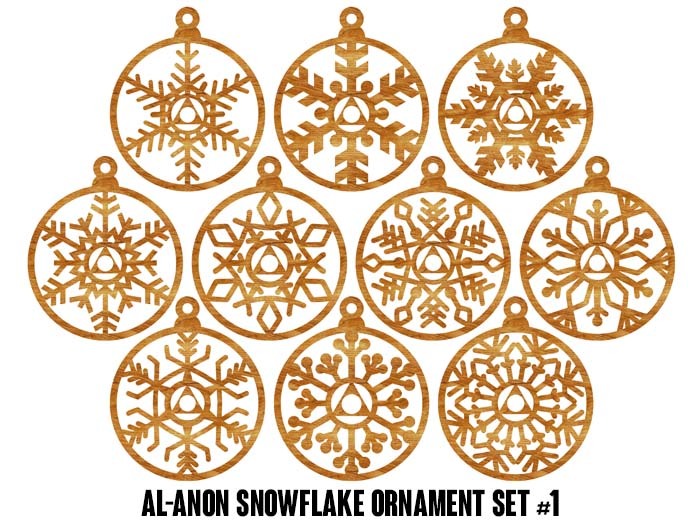 Each set contains 10 beautiful alder or maple wood ornaments. ...ok, maybe there's a bonus ornament in there, too! Each of these intricately laser cut snowflakes features our familiar Al-Anon Triangle and Circl in the center. Perfect for decorating the home, clubhouse, or home-group meeting place! The image below is a mock up of the actual art used for cutting.